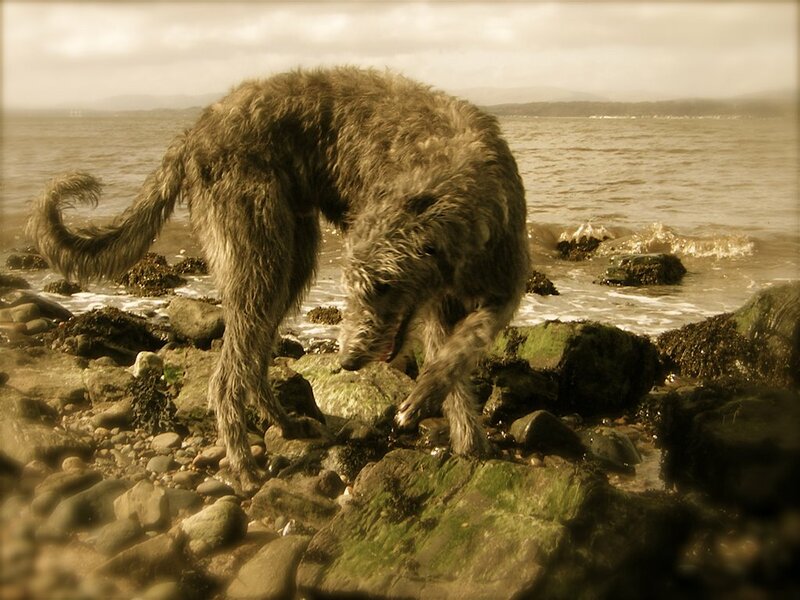 How the Highlands Shaped the Hound! Well, as you know, we keep a little paw on the history of the Deerhound here, wi' my master being a Brodie and his family going away back into the mists of Pictland, and coming from, not a bones throw away from Brodie castle myself . . . 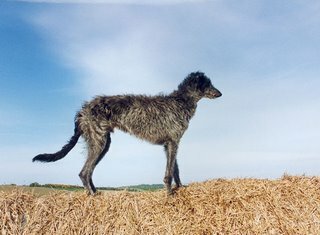 I thought it would be fun to show a little example of how us Deerhounds come to be looking like we do. You see, its all to do with the terrain, the climate, and the nature. 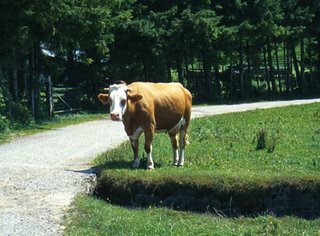 As an example if we look at the simple cow and see the two breeds in the images - In the past and indeed today, a cow common to England would more likely be smooth coated, where as the cow living out in the wilds o’ the Misty Highlands would have a hide to suit its environment. Here’s some details about the Hei’land Coo . . . 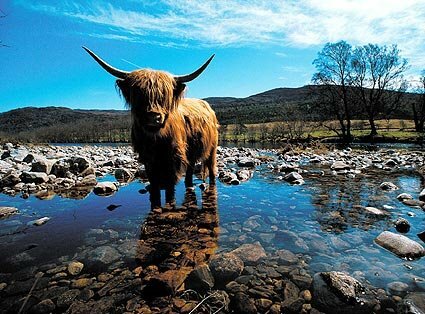 Here are some Fun Facts: Scottish Highland Cattle are the oldest known cattle breed probably indicating that the southerly relatives lost there rough coats due to the climate. Despite their long horns, they are gentle and easily handled. 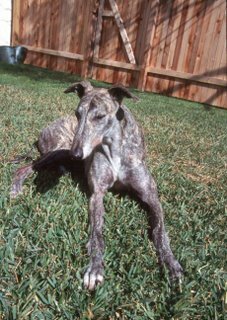 Their long bangs (dossan) protect the eyes and shorter legs mean fewer foot and leg problems. They are known for their gentle disposition, hardiness in adverse weather conditions and strong resistance to disease. They are able to adapt to a variety of climates including harsh, cold climates where other cattle breeds might not survive. Their life span is about 25 years. 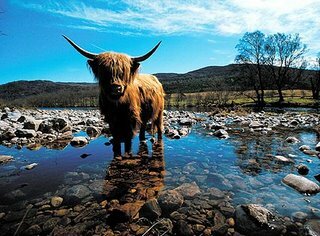 Appart from life span, and the short legs, and the food, and the weight there are a few Scottish Highland similarities shared between the Highland Coos and Highland Hounds - jings, even the terriers from Scotland are scruffy, wee, ruff coated rogues that fit right into the family. 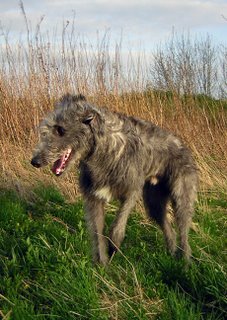 Again, the climates in the South or among the Angles n Saxons and Romans was much more hospitable and definately warmer as it even still is today, where the deerhunting hounds were much more likely to have been the English Greyhound. 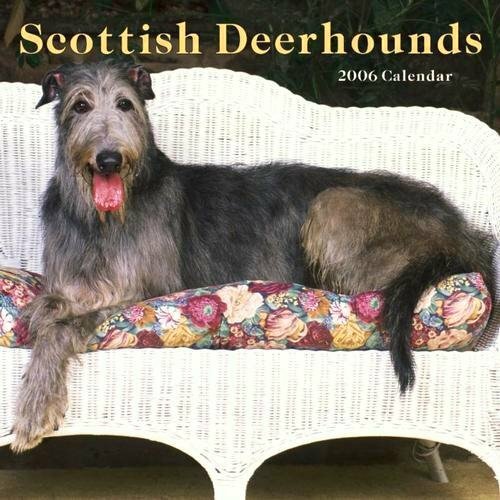 Although probably doing the same Job as us Deerhounds, but I'm sure, not with such dash and highland grace. Compare the pics - dogs and coos and judge for yerself. Click the pics for a closer look. For all those humans that don’t get the opportunity to be oot and roamin the Glens everyday, that have to sit in an office and waste awa’ the hours busying themselves for the Queens shilling. 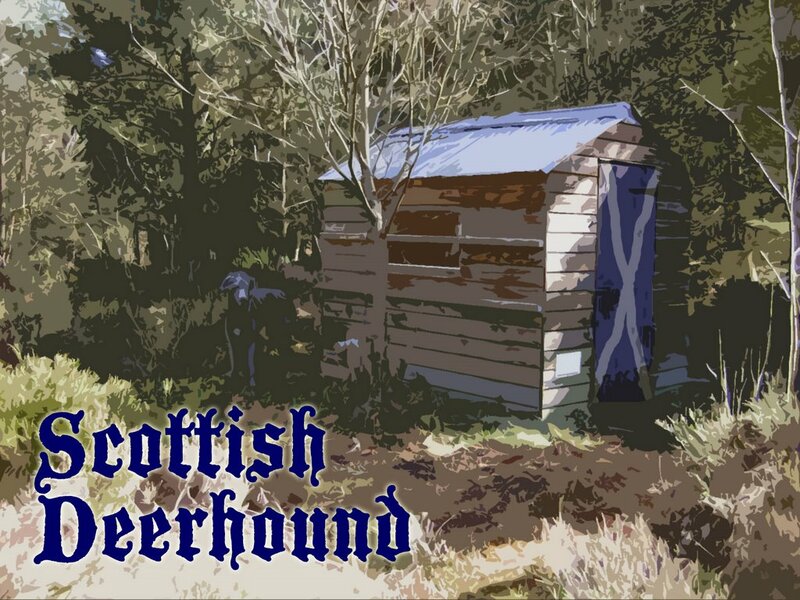 Here’s a wee computer desktop picture for you wi the dream bothy in the forest, you produce the whisky, I'll provide the venison. . . . just click on it and save it and dae what ye’ have tae dae. Man it’s braw! Well what needs be said? This is a rather beautiful painting where we can only wonder at the outcome. 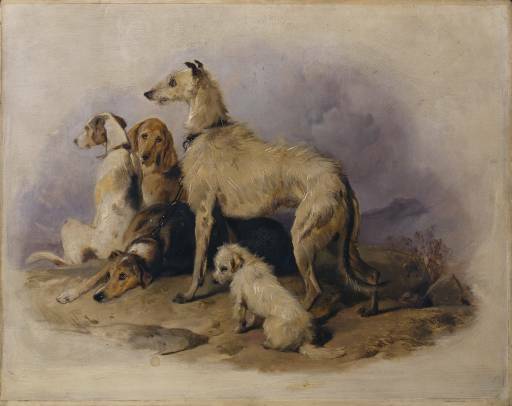 I’m going to start featuring 'Art' showing us hard working hounds, before, after or during a days work. I'll even give you a little bit history of the painting and artist if you’re interested. 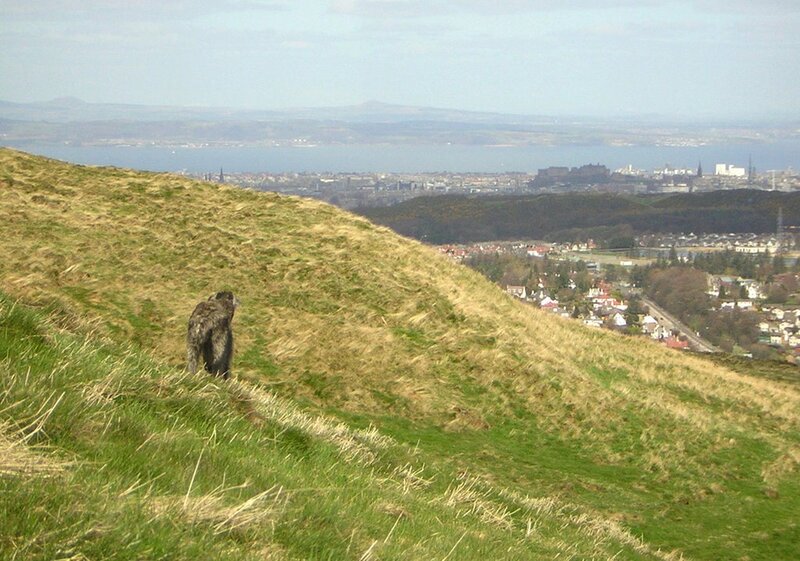 This weekend I decided to cross the Pentland Hills and see what I could find. No deer up here, only fell runners and ramblers, but if you look off into the distance thats, the Kingdom of Fife across the water and Edinburgh Castle in the foreground. 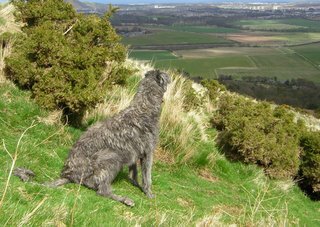 It’s still not a patch on the real Scottish Highlands but its good for us deerhounds to be up in the hills amongst the bracken and heather. 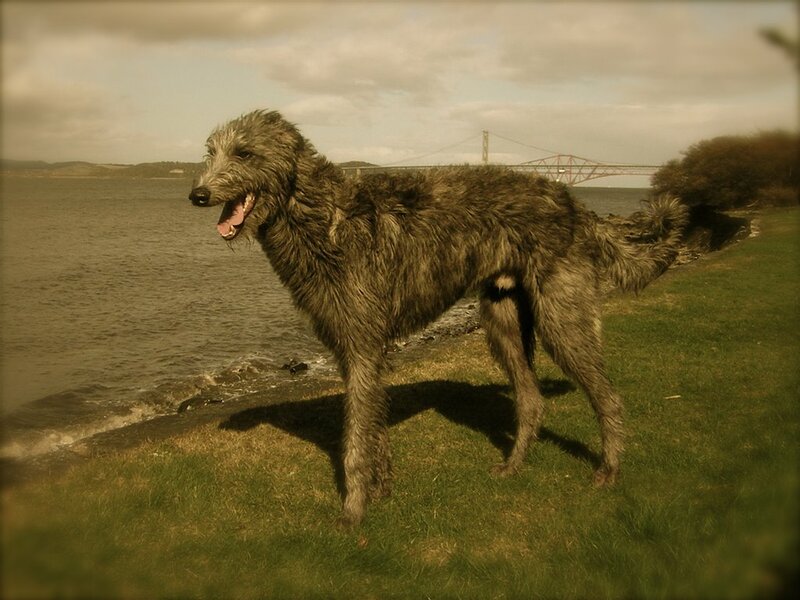 Where else would you find a deerhound statue as big as a bus? Today it was 'gie dreech' in the City of Edinburgh but worthy o’ a wee look at The Sir Walter Scott Monument on Princes Street. 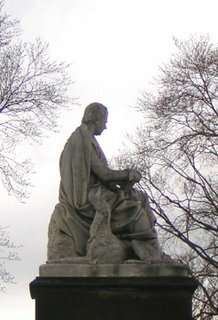 Well its really ‘Maida the Deerhound’ Monument of course, who can be seen allowing Sir Walter to read a book whilst sitting beside her for the sculptor. Probably one of the most famous of Scottish Deerhounds, and should you be in Scotlands Capital City . . . take a look. Well, I don’t know who knows their history - but us deerhounds certainly know our heritage and whilst written history oft portrays the fancy of the victor of conflict, or payed scribe, or whit ever you humans want to call it . 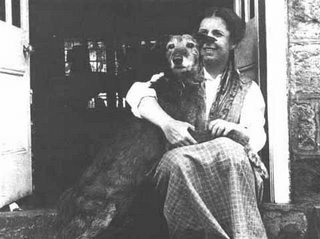 . . folklore tells tale, probably nearer the truth. 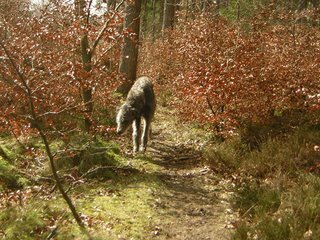 And that's what us deerhounds are . 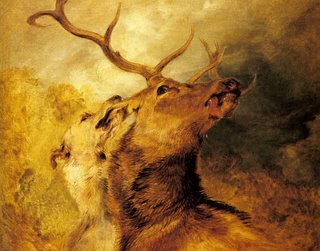 . . a nature unto oorsel’s. 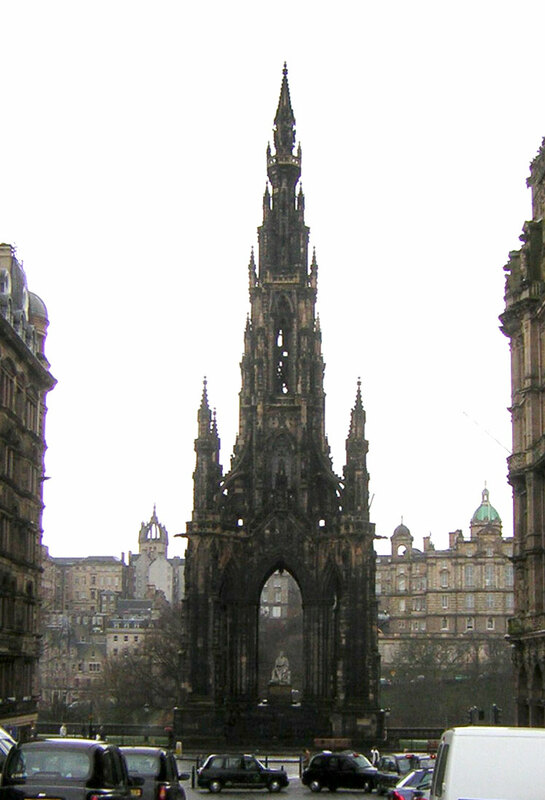 But years ago Scotland and France were allies and shared much o the same social activities and interests. 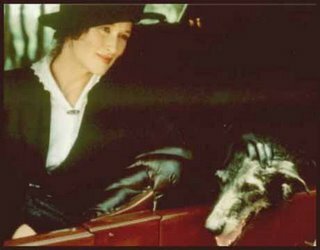 Infact auld Mary Queen o Scots kept deerhounds in abundance at Linlithgow Palace and French aquaintance. 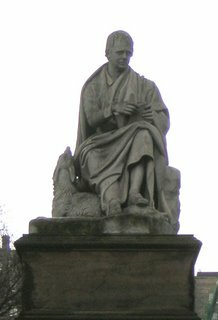 Bonnie Prince Charlie anither pal o the French shared certain pursuits with the French. 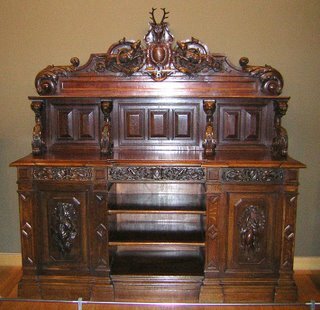 Anywa’ This braw sideboard featuring us deerhounds at work came frae a French Hoose and can be found in The Louvre . . . 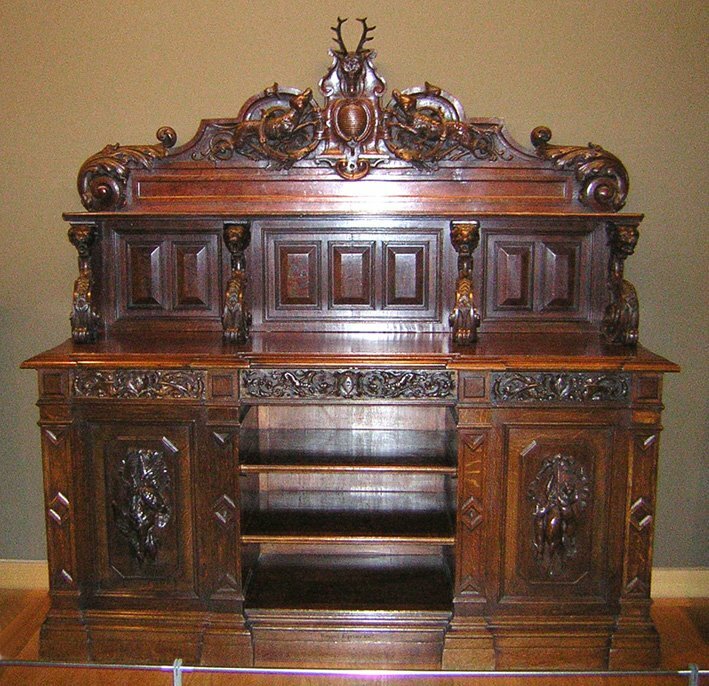 I won’t go into detail about it save to say look at the detail and relief carvings around it. I wid love to get my teeth into the wood on that. I say furniture is never finnished until deerhounds cut their teeth on it. The Louvre is a big place and loads of deerhounds exist on many works of art in this place . . . visit and discover a world of appreciation for yourself. 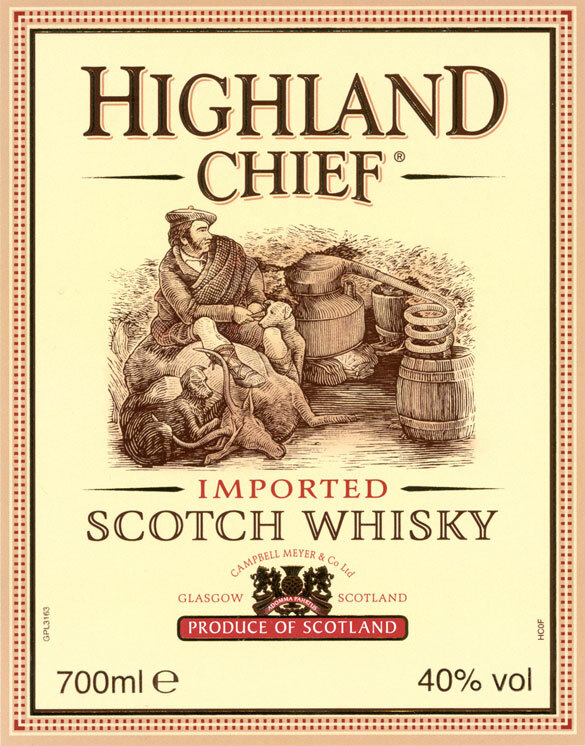 That’s Us on that Label! 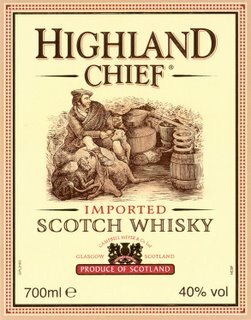 Not posted for a couple of days, but check out this little whisky label featuring one bagged stag - a little whisky still and the chief. Who brought down that stag? . . . but a couple of trusty deerhounds of course. 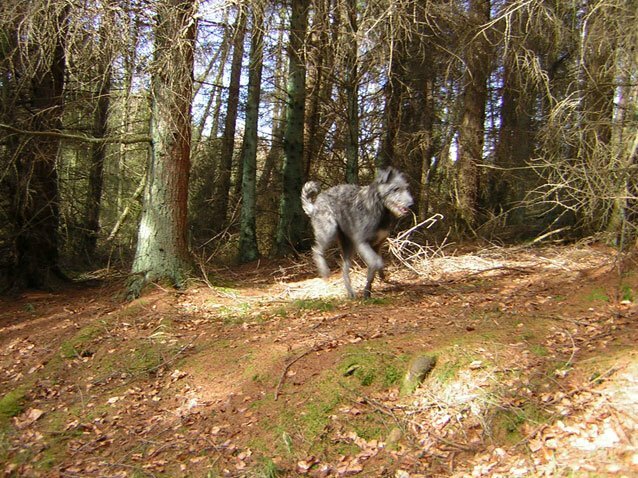 The Hounds of the Scottish Highlands strike again! From the Misty Highlands and Islands to the shores of the Americas! 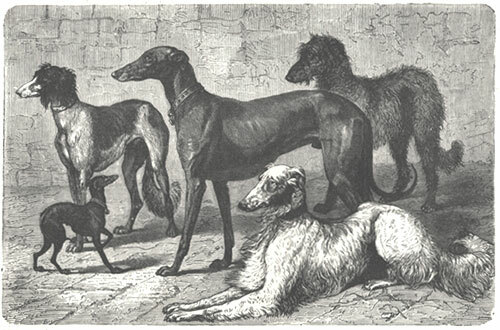 The Scottish Deerhound has travelled a long way, and at sometime during, or following and probably before the 'Pacification of the Scots' (or as it is known in Scotland the 'Highland Clearances') some Deerhounds sailed with their Heiland owners o'er the michty Atlantic to the Americas as well as o'er the North Sea to Europe and Scandinavia. 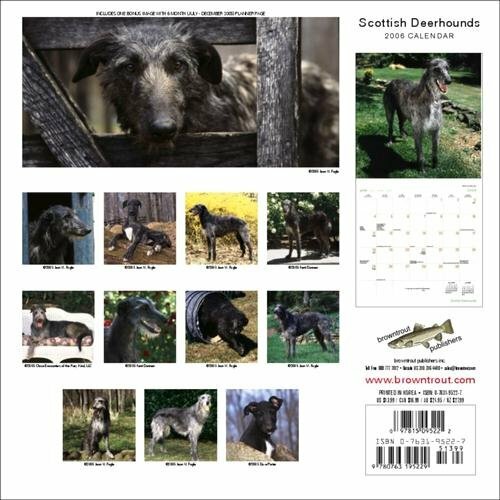 Wonder if they’ll want any pictures of me for the 2007 calendar? Where did that cameraman come from? 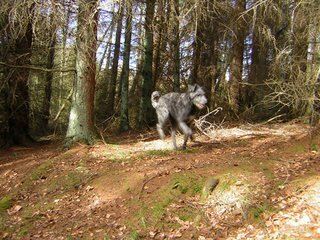 Last night whilst out walking, or should I say running, I was happily going about my deerhound business - rehearsing my speed chase, when all of a sudden - someone put a cameraman in my path! If you can’t get round them, try and get through them. That’s what I say. You can take the Deerhound out of Scotland . . . 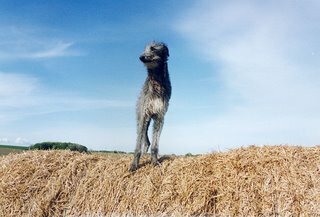 Most Deerhound owners know where we Deerhounds appear in movies and which writer, or celebrity, or sportsman, or indeed historical character owns or once owned Deerhounds - well I'm going to log and list and build up this little Blogger-ama with People we Deerhounds have made famous. 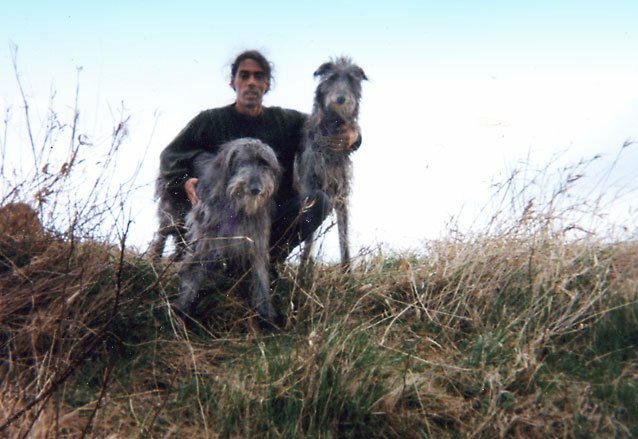 Here's ‘Woody’ and ‘Uncanny’ the former Hounds of the house with Ricky, the owner of the house where our family all live and sleep. 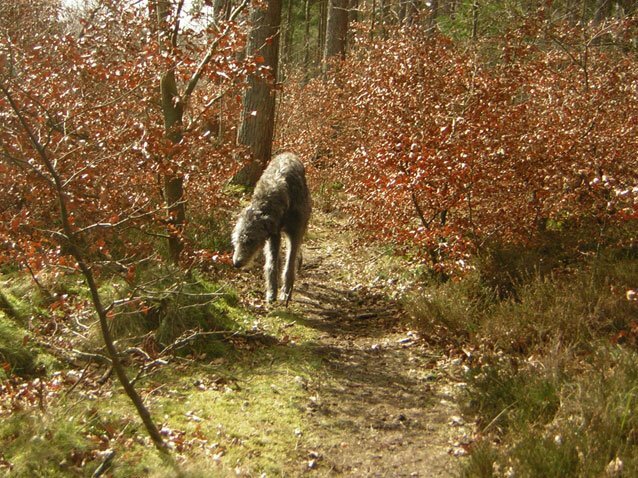 Lots more pics and a few videos of Deerhounds will be going up on my Blog soon - keep droppin in. As posted earlier the Scottish natural environment - where deerhounds truely love to be, and today, I went out through a typical Scottish landscape - check out the pics - Beautiful Scots Pine, old beech trees with birch and rowan mixed throughout - Roe deer can be spotted if your a stealthy Deerhound and know your trade. Stick with it but this little action packed movie takes a bit time to load - it's worth it! 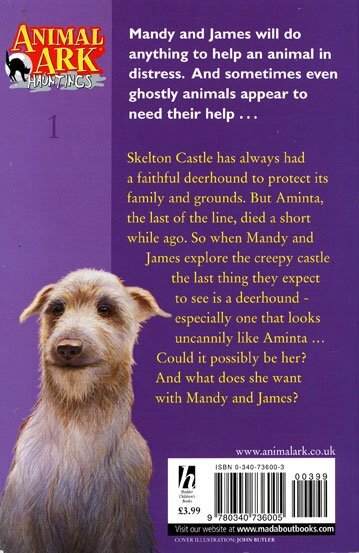 So your a kid and you wanna read a story with castles, creepyness and Deerhounds - well you can't do much better than to read this little book. 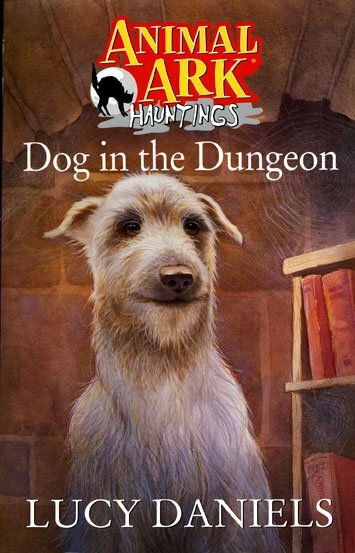 Available as a part of the 'animal ark hauntings' series - 'Dog in the Dungeon' - most definately where you shouldn't keep Deerhounds. Its available from amazon or most good bookshops. My little pal Deerhound Diva is reading this book now. 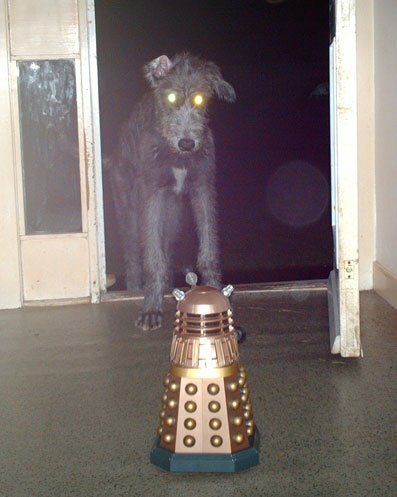 This lad came from the very dear Anastasia Noble - Ardkinglas Uncanny. A magnificent Argyll and Southern Highland Hound. Again the 'Canny Scottish Temprament' made him the loving, social creature he was. 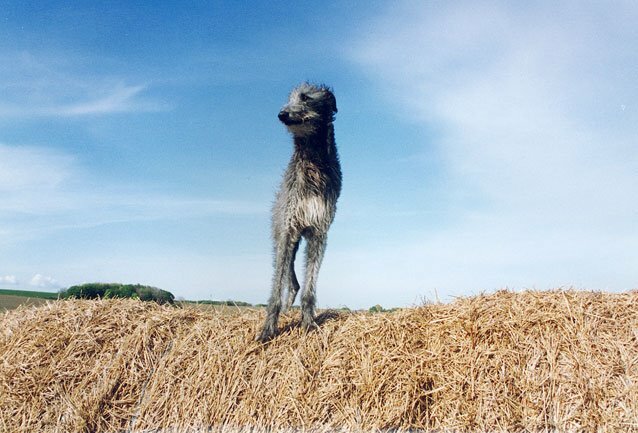 I was always a bit disapointed, in that when my faithful companion passed away, I sent a letter for inclusion in the obituaries of the Deerhound (being a member of the club for nearly 2 decades) Newsletter, it was not printed. Still. here he is in all his pride and glory and he'll always be with me. 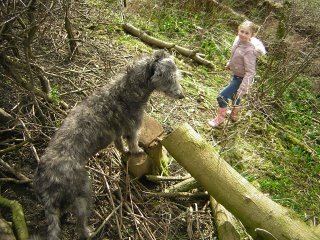 This recent shot shows the majesty and inquisitive nature of a six month old pup out for an early Scottish woodland hike. 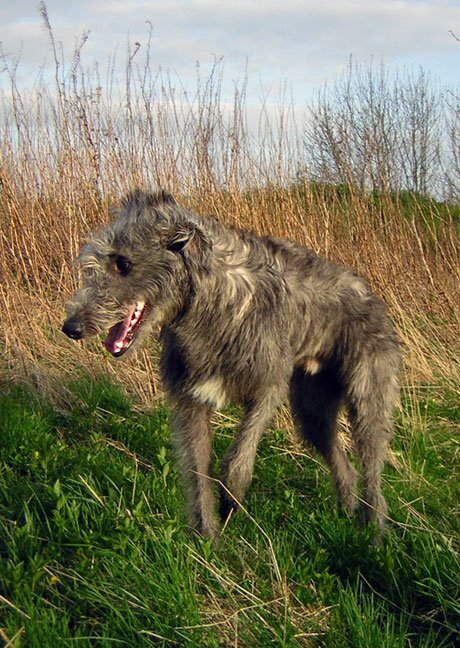 Although a hunting hound, they are incredibly inteligent. 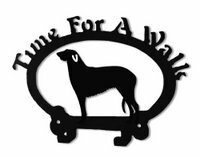 If they are properly cared for and trained, they are fantastic people dogs. Faithful and bravehearted, a creature to lift the spirit. Being a true Highlander this little pup is aptly named Rogue.